6-7: South Florida Spring Soccer Invitational (U9-U12). Trade winds Park-Coconut Creek, FL. Ages U9-U12 Boys and Girls, Teams: All USSF Affiliates. Contact: Boni Okafor or visit www.bazookasoccer.com Approved Application to Host. 2-14: Gasparilla Cup 2018. Ed Radice Sports Complex. Ages: U6- U19 Boys and Girls. Teams: All USSF Affiliates. Contact: Oisin Crean or visit www.tbusc.com Approved Application to Host. 2-15:Wellington Soccer Shootout. Village Park-Wellington. Ages: U9-U19 Boys and Girls. Teams: All USSF Affiliates. Contact: Patrick Zoete or visit www.wellingtonsoccer.com Approved Application to Host. 3-14: South Florida Spring Soccer Invitational (U13-U14). Trade winds Park-Coconut Creek, FL. 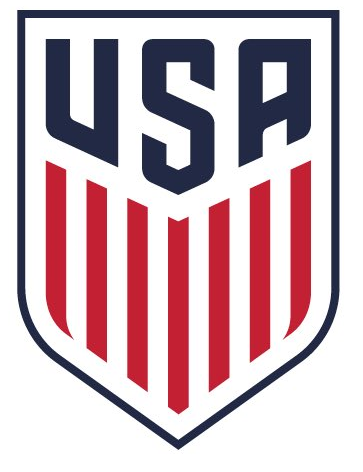 Ages U13-U14 Boys and Girls, Teams: All USSF Affiliates. Contact: Boni Okafor or visit www.bazookasoccer.com Approved Application to Host. 13-15: The 14th Annual Dimitri Cup U9/12 Weekend. Naples, FL. Ages:U9-U12 Boys and Girls. Teams: All USSF Affiliates. Contact: Jeff Pinteralli or visit www.soccerskillsunlimited.org Approved Application to Host. 13-15: I-75 Shootout. Bayshore Soccer Complex. Ages:U8-U19 Boys and Girls. Teams: All USSF Affiliates. Contact: Ryan Morgan or visit www.lcystournaments.com Approved Application to Host. 19-20: Florida Rush Cup. Clermont and Winter Gardens, FL. Ages: U9-U19 Boys and Girls. Teams: All USSF & FIFA Affiliates. Contact: Bill Fisher or visit www.floridarushsoccer.com Approved Application to Host. 19-21: GPS Preseason Classic. Orlando, FL. Ages:U9-U18 Boys and Girls Teams: All USSF Affiliates. Contact: Chris Waugh or visit www.globalpremiersoccer.net/preseasonclassic Approved Application to Host. 20-21: The Dimitri Cup. Naples, FL. Ages: U13-14 Boys and Girls. Teams: All USSF Affiliates. Contact: Jeff Pinteralli or visit www.soccerskillsunlimited.org Approved Application to Host. 26-28: Florida Elite Winter Invitational. Jacksonville and Palm Coast. Ages: U9-U14 Boys and Girls. Teams: All USSF Affiliates. Contact: Gennaro DellaPorta or visit www.floridaelitesa.com Approved Application to Host. 27-28: The Dimitri Cup. Naples, FL. Ages: U15-19 Boys and Girls. Teams:All USSF Affiliates. Contact: Jeff Pinteralli or visit www.soccerskillsunlimited.org Approved Application to Host. 25-28: PCSL All Star Tournament. Lake Myrtle Park- Auburndale, FL. Ages: U8- U14 Teams: Only FYSA & US Soccer Affiliates. Contact: Bob Stover Approved Application to Host. 2-3: Super Cup. Apopka, FL. Ages: U15-U19 Boys and Girls. Teams: All USSF & FIFA Affiliates. Contact: Chris Waugh or visit www.gpstournaments.com Approved Application to Host. 2-4: Adidas Brandon Cup 2018. Brandon, FL. 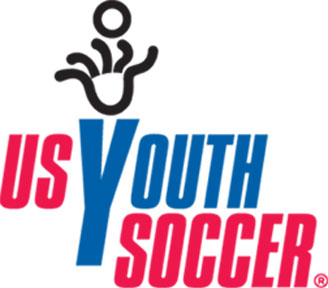 Ages: U9-U19 Boys and Girls (See Application to Host). Teams: All USSF Affiliates. Contact: Cathy Siwek or visit www.fcflames.com/tournaments/adidas-brandon-cup Approved Application to Host. 9-11: Jr Pro Invitational. Seminole Soccer Complex. Ages: U9-U15 Boys and Girls. Teams: All USSF Affiliates. Contact: Tanya Neidert or visit www.orlandocitysc.com Approved Application to Host. 16-18: The President's Day Junior Cup. St.Pete, FL. Ages: U9-U12 Boys and Girls. Teams: All USSF Affiliates. Contact: Jeff Pinteralli or visit www.soccerskillsunlimited.org Approved Application to Host. 16-19: Weston Cup & Showcase. Weston & Plantation,FL. Ages:U9-U19 Boys and Girls. Teams: All USSF Affiliates. Contact: Bill Fisher or visit www.westoncup.com Approved Application to Host. 16-19: Florida Coast Cup & Showcase. Treasure Coast and surrounding fields. Ages: U12-U19 Boys and Girls. Teams: All USSF & FIFA Affiliates. 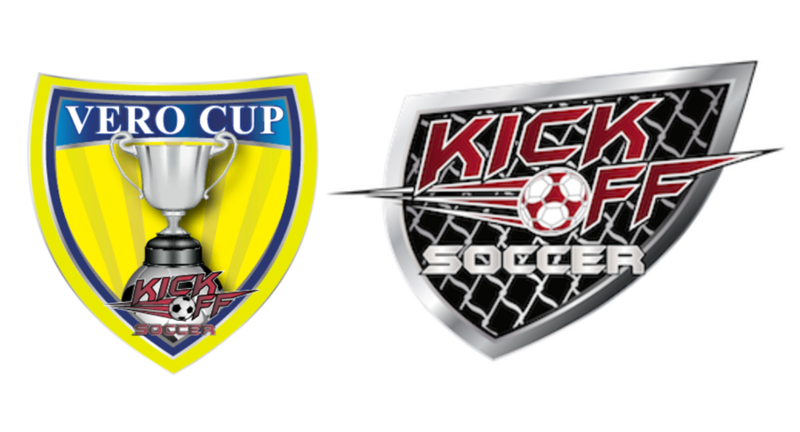 Contact: Michael Rocca or visit www.floridacoastcup.com Approved Application to Host. 16-19: Disney President's Day Soccer Festival. ESPN Wide World of Sports & approved off-site venues. Ages: U9-U19 Boys and Girls. Teams: All USSF & FIFA Affiliates Contact: Mark Luster or visit www.disneysoccer.com Approved Application to Host. 16-19: CDL Showcase 2018. ED Radice , J.C. Handly, Monroe Fields. Ages: U13- U18 Boys and Girls. Teams: All USSF & FIFA Affiliates. Contact: Eric Sims or visit www.cdleague.com Approved Application to Host. 16-19: USA Showcase. Fleming Island, FL. Ages: U9-U19 Boys and Girls. Teams: All USSF Affiliates. 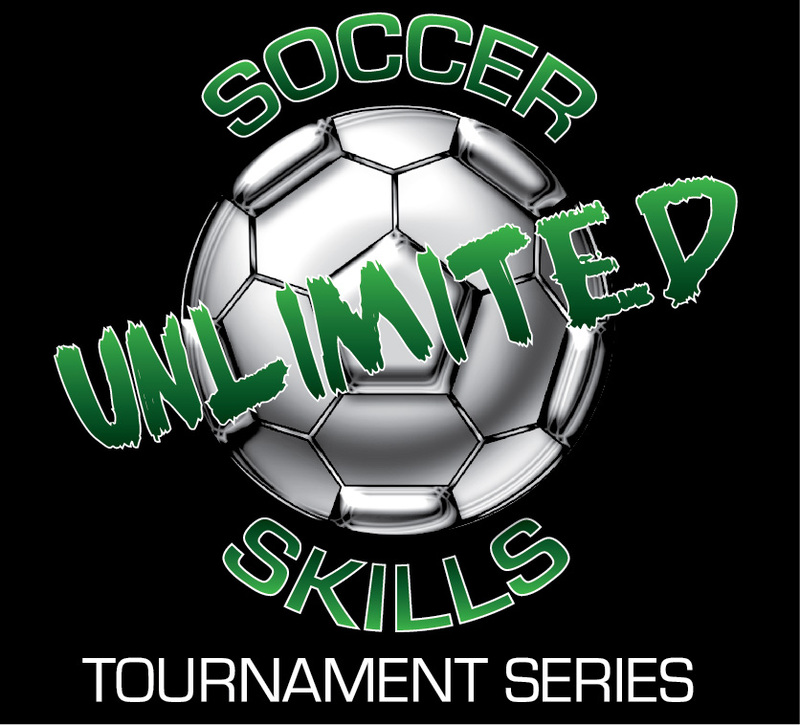 Contact: Al Cruz or visit www.unitedsoccershowcase.org Approved Application to Host. 17-18: Gator Classic. Gainesville, FL. Ages: U9-U18 Girls. Teams: All USSF Affiliates. Contact: Alan Womack or visit www.gatorshowcase.com Approved Application to Host. 17-18: Warner/ASG President's Day Invitational. Ages: U9-U19 Boys and Girls. Teams: All USSF Affiliates. Contact: Andy Warner or visit https://events.gotsport.com/forms/app/Default.aspx?eventid=62660 Approved Application to Host. 17-18: Strawberry Classic. Plant City, FL. Ages: U9-U19 Boys and Girls. Teams: All USSF Affiliates. Contact: David Spivey or visit www.plantcityfc.com Approved Application to Host. 17-18: Bazooka Soccer President's Day Cup. Winter Haven, FL. Ages: U9-U19 Boys and Girls. Teams: All USSF Affiliates. Contact: Boni Okafor or visit www.bazookasoccer.com Approved Application to Host. 16-18: Jupiter President's Day. Jupiter Community Park- Jupiter, FL. Ages: U9-U19 Boys and Girls. Teams: All USSF Affiliates. Contact: Gavin Spooner or visit www.jupiterunited.com or www.kickoffsoccer.org Approved Application to Host. 23-25: FKK 2018 Spring Pre-Season Comp Rec Tournament. Shane Kelly Park/Central Winds Park. Ages: U9- U18 Boys and Girls. Teams: All USSF Affiliates. Contact: George McGowan or visit www.floridakrazekrush.com/rectournament Approved Application to Host. 24-25: Bulls Jr Showcase. University of Florida- Tampa, FL. Ages: U9-U14 Boys and Girls. Teams: All USSF Affiliates. Contact: Phillip Zayas or visit https://events.gotsport.com/forms/app/Default.aspx?EventID=64492 Approved Application to Host. 2-4: Miramar Soccer Cup & Showcase. Miramar, FL. Ages: U9-U19 Boys and Girls. Teams: All USSF & FIFA Affiliates. Contact: Jairon Moreno or visit http://www.miramarunitedelitefc.org/tournament/index_E.html?1515183982http://www.miramarunitedelitefc.org/tournament/index_E.html?1515183982 Approved Application to Host. 2-4: 11th Largo March Madness Soccer Shootout. Pinellas Count, FL. Ages: U9-U14 Boys and Girls. Teams: All USSF Affiliates. Contact: Ben Sousa or visit www.largounitedsoccer.com Approved Application to Host. 3-4: 13th Annual Bazooka Soccer College Showcase. Northwest Complex-Apopka, FL. Ages:U15-U19 Boys and Girls. Teams:All USSF &FIFA Affiliates. Contact: Boni Okafor or visit www.bazookasoccer.com Approved Application to Host. 3-4: Harry Olsen Memorial Cup. Wesley Chapel District Park- Wesley Chapel, FL. Ages: U8-U19 Boys and Girls. Teams: All USSF Affiliates. Contact: Rich Notling or visit www.wesleychapelsc.com/tournaments/homc/ Approved Application to Host. 10-11: Bazooka Soccer 7v7 & 9v9 Tournament: Plantation, FL. Ages: U9-U12 Boys and Girls. Teams: All USSF & FIFA Affiliates. Contact: Boni Okafor or visit www.bazookasoccer.com Approved Application to Host. 17-18: Bazooka Soccer Junior Showcase: Winter Haven, FL. Ages: U9-U14 Boys and Girls. Teams: All USSF Affiliates. Contact: Boni Okafor or visit www.bazookasoccer.com Approved Application to Host. 17-18: The South Florida Cup. Boca Raton, FL. Ages: U9-U12 Boys and Girls. Teams: All USSF Affiliates. Contact: Jeff Pinteralli or visit www.soccerskillsunlimited.org Approved Application to Host. 17-18: March Mayhem. Sherman Soccer Complex. Ages: U9-U19 Boys and Girls. Teams: All USSF Affiliates. Contact: Ryan Morgan or visit www.lcystournaments.com Approved Application to Host. 24-25: Jogo Bonito Champions Cup. Highland Oaks Park- Aventura, FL. Ages: U9-U14 Boys and Girls. Teams: All USSF Affiliates. Contact:Christian Blandon or visit www.jogobonitosoccer.com Approved Application to Host. 30-1: 2018 Chargers Easter Soccer Cup. Greater Clearwater Area, FL. Ages: U9-U19 Boys and Girls. Teams: All USSF & FIFA Affiliates. Contact: Bill Fisher or visit www.chargerssoccer.com Approved Application to Host. 31-1: IVP by FIGO7. Amelia Earhart. Ages:U13-U15 Boys and Girls. Teams: All USSF Affiliates. Contact: Ryan Morgan/Jonas Urdaneta or visit www.ivpbyfigo7.com Approved Application to Host. 6-8: Naples Spring Shootout. North Collier Regional Park- Naples, FL. Ages: U9-U19 Boys and Girls. Teams: All USSF Affiliates. Contact: Gavin Spooner or visit www.azzurristorm.com or www.kickoffsoccer.org Approved Application to Host. 6-8: 2018 Best of the Bay. Puryear Park, Largo Soccer Complex, Southside Youth Soccer Park. Ages:U8-U14 Boys and Girls. Teams: All FYSA and US Youth Soccer Affiliates. Contact: Mike Winsor or visit www.stpeteraiders.org Approved Application to Host. 7-8: Wesley Chapel Spring Cup. Wesley Chapel, FL. Ages: U9-U19 Boys and Girls. Teams: All USSF Affiliates. Contact: Jared Roberts or visit www.wesleychapelsc.com Approved Application to Host. 7-8: World Cup Championships. South Florida. Ages:U9-U12 Boys and Girls. Teams: All USSF Affiliates. Contact: Jeff Pinteralli or visit www.soccerskillsunlimited.org Approved Application to Host. 7-8: Zaxby's Pensacola Classic. Ashton Brosnaham Park-Pensacola, FL. Ages: U10-U19 Boys and Girls. Teams: All USSF Affiliates. Contact: Matthew Ruckman or visit www.gulfcoasttexans.com/pensacolaclassic Approved Application to Host. 13-15: Florida Premier Spring Showcase. Mitchell Fields/Holiday Fields/Collier Parkway Fields. Ages: U9-U18 Boys and Girls. Teams: All USSF Affiliates. Contact: Novi Maric or visit www.westpascosoccer.com Approved Application to Host. 14-15: The Bradenton Cup. Bradenton, FL. Ages: U9-U19 Boys and Girls. Teams:All USSF Affilates. Contact: Jeff Pinteralli or visit www.soccerskillsunlimited.org Approved Application to Host. 14-15: Florida State Invitational, Florida State Rec Sportsplex. Ages:U9-U19 Boys and Girls. Teams: All USSF Affiliates. Contact: Lee Blenman or visit www.TTHFC.org Approved Application to Host. 14-15: Vero Beach Spring Classic Boys Weekend. Hobart Park- Vero Beach, FL. Ages: U9-U19 Boys.Teams: All USSF Affiliates. 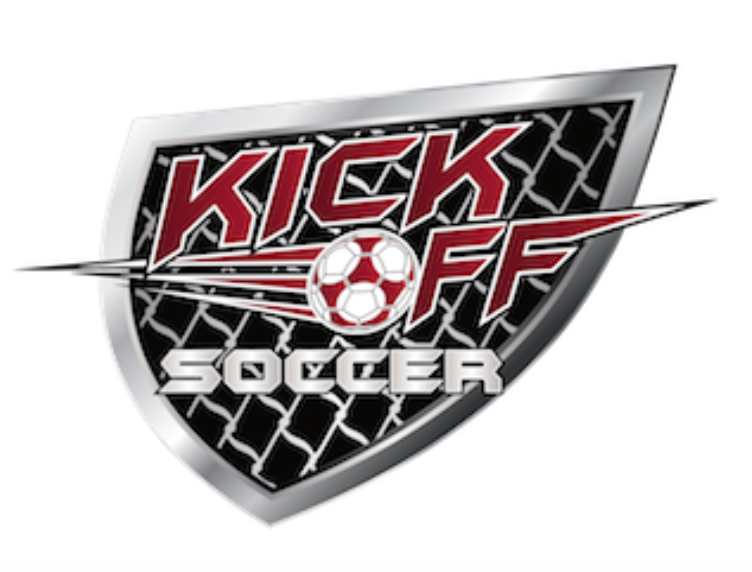 Contact: Gavin Spooner or visit www.irsoccer.com or www.kickoffsoccer.org Approved Application to Host. 14-15: 35th Annual Gulf Coast Invitational. Foley Sports Tourism Complex. Ages: U9-U19 Boys and Girls. Teams: All USSF Affiliates. Contact: Ryan Morgan or visit www.gulfcoasttexans.com Approved Application to Host. 14-15: COPA ESPN 5v5 Tournament. Cutler Ridge Park. Ages: U8-U19 Boys and Girls. Teams: All USSF Affiliates. Contact: Graeme Griffith or visit www.cutlerridgesoccer.net Approved Application to Host. 21-22: The Merritt Island Cup. Merritt Island. Ages: U9-U18 Boys and Girls. Teams: All USSF Affiliates. Contact: Jeff Pinteralli or visit www.soccerskillsunlimited.org Approved Application to Host. 27-29: Miami Cup & Showcase. Pinecrest, Miami, Kendall. Ages: U9-U19 Boys and Girls. Teams: All USSF and FIFA Affiliates Contact: Virgilio Rivera or visit www.miamicupandshowcase.com Approved Application to Host. 27-29: 2018 Sarasota Cup & Showcase. Premier Sports Campus. Ages: U9-U19 Boys and Girls. Teams: All USSF & FIFA Affiliates. Contact: Ryan Morgan or Steve Lovgren or visit www.sarasotacup.com Approved Application to Host. 28-29: Northwest Florida Cup: Pensacola, FL. Ages: U13-U19 Boys and Girls. Teams: All USSF Affiliates. Contact: Boni Okafor or visit www.bazookasoccer.com Approved Application to Host. 27-29: 5th Annual Palm Beach Soccer League Classic. Royal Palm Beach, FL - Katz Field. Ages: U9-U-12 Boys and Girls. Teams: All USSF Affiliates. Contact: Arnold Thompson or visit www.palmbeachsl.com Approved Application to Host. 28-29: Southwest Spring Cup. Ft Myers, Fl. Ages: U9-U18 Boys and Girls. Teams: All USSF Affiliates. Contact: Jeff Pinteralli or visit www.soccerskillsunlimited.org Approved Application to Host. 28-29: Adidas Spring Classic. North Collier Park- Naples, FL. Ages: U9-U19 Boys and Girls. Teams: All USSF Affiliates. 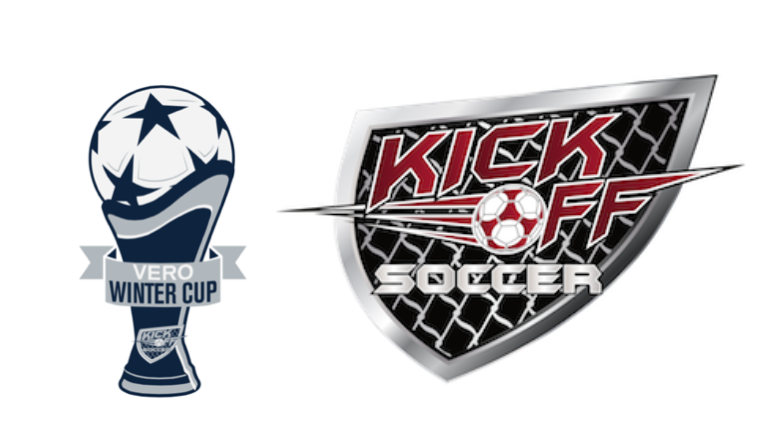 Contact: Gavin Spooner or visit www.floridafirejuniors.com or www.kickoffsoccer.org Approved Application to Host. 4-6: Adidas Cup Club Challenge. Brandon/Tarpon Springs. Ages: U9-U19 Boys and Girls. Teams: All USSF Affiliates. Contact: Cathy Siwek or visit http://fcflames.com/tournaments/adidas-cup-club-challenge Approved Application to Host. 5-6: 3rd Annual Brevard Cup. Mad Rhodes Park- Melbourne, Fl. Ages:U9-U19 Boys and Girls. Teams: All USSF Affiliates. Contact: William Quinter or visit www.brevardsoccer.net Approved Application to Host. 5-6: Soccer Skills Premier Cup. Tavares, FL (Central Florida) Ages: U9-U18 Boys and Girls. Teams: All USSF Affiliates. Contact: Jeff Pinteralli or visit www.soccerskillsunlimited.org Approved Application to Host. 5-6: The European Cup. South Florida. Ages:U9-U14 Boys and Girls. Teams: All USSF Affiliates. Contact: Jeff Pinteralli or visit www.soccerskillsunlimited.org Approved Application to Host. 5-6: 12th Annual BSI Tournament: Kissimmee, FL. Ages: U9-U19 Boys and Girls. Teams: All USSF Affiliates. Contact: Boni Okafor or visit www.bazookasoccer.com Approved Application to Host. 5-6: Vero Shootout. Hobart Park- Vero Beach, FL. Ages: U9-U19 Boys and Girls. Teams: All USSF Affiliates. 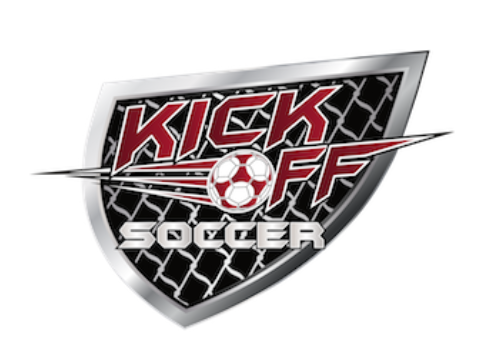 Contact: Gavin Spooner or visit www.irsoccer.com or www.kickoffsoccer.org Approved Application to Host. 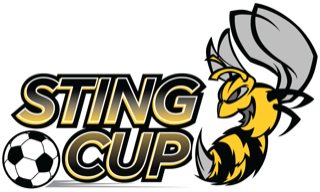 5-6: Sting Cup. Plantation, FL. Ages: U9-U19 Boys and Girls. Teams: All USSF Affiliates. Visit www.sunrisesoccer.net/sting-cup-tournament Approved Application to Host. 5-6: Tottenham Hotspur Fl. Elite Invitational. Jacksonville and Palm Coast. Ages: U9-U19 Boys and Girls. Teams: All USSF Affiliates. Contact: Gennaro DellaPorta or visit www.floridaelitesa.com Approved Application to Host. 11-13: 11th Annual Palm Beach Cup. Palm Beach County. Ages: U9-U19 Boys and Girls. Teams: All USSF Affiliates. Contact: Gary Walker or visit www.palmbeachsocceracademy.com Approved Application to Host. 12-13: 2018 Palm Coast Classic. Indian Trails Sports Complex. Ages: U9-U19 Boys and Girls. Teams: All USSF Affiliates. Contact: Ryan Morgan or visit www.palmcoastclassic.com Approved Application to Host. 18-20: GPS Spring Cup. Ormond Beach Sports Complex. Ages:U9-U18 Boys and Girls Teams:All USSF Affiliates. Contact: Chris Waugh or visit www.globalpremiersoccer.net/springcup Approved Application to Host. 18-20: Champions Cup. Greater Orlando Area. Ages: U9-U19 Boys and Girls. Teams: All USSF & FIFA Affiliates. Contact: Bill Fisher or visit www.floridarushsoccer.com Approved Application to Host. 18-20: Battle at the Beach. Davis Park -Ponte Vedra, FL. Ages: U9-U19 Boys and Girls. Teams: All USSF Affiliates. Contact: Michelle Frecks or visit www.pontevedrasoccerclub.com Approved Application to Host. 19-20: Bazooka Soccer Spring Cup: Naples, FL. Ages: U9-U19 Boys and Girls. Teams: All USSF Affiliates. Contact: Boni Okafor or visit www.bazookasoccer.com Approved Application to Host. 19-20: The Port Canaveral Cup. Merritt Island. Ages: U9- U8 Boys and Girls. Teams: All USSF Affiliates. Contact: Jeff Pinteralli or visit www.soccerskillsunlimited.org Approved Application to Host. 25-28: Disney Memorial Day Soccer Shootout. ESPN Wide World of Sports & approved off-site venues. Ages: U9-U19 Boys and Girls. Teams: All USSF & FIFA Affiliates. Contact: Mark Luster or visit www.disneysoccer.com Approved Application to Host. 25-28: Sharks Soccer Cup & Showcase. Davie, FL. Ages:U9-U19 Boys and Girls. Teams: All USSF & FiFA Affiliates. 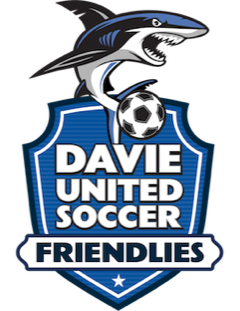 Contact: Jairon Moreno or visit www.daviesharks.com/sharks-soccer-cup-showcase Approved Application to Host. 26-28: 6th Annual Bazooka Soccer Memorial Day Tournament: Northwest Complex- Apopka, FL. Ages: U9-U19 Boys and Girls. Teams: All USSF Affiliates. Contact: Boni Okafor or visit www.bazookasoccer.com Approved Application to Host. 26-28: The Sweetbay Memorial Day Cup. Naples, Fl. Ages:U9-U18 Boys and Girls. Teams: All USSF Affiliates. Contact: Jeff Pinteralli or visit www.soccerskillsunlimited.org Approved Application to Host. 26-27: OCYS 2018 Memorial Festival. Seminole Soccer Club- Sanford, FL. Ages: U9-U19 Boys and Girls. Teams: All USSF Affiliates. Contact: Tanya Neidert or visit www.orlandocitysc.com Approved Application to Host. 22-24: Copa Americana Miami 2018. 401 E 65th St. Ages:U10-U18 Boys and Girls. All USSF & FIFA Affiliates. Contact: Eddie Marles or visit http://www.milanjuniorcamp.us/en/tournaments/copa-americana-miami-2018 Approved Application to Host. 16-22: Disney Cup International. ESPN Wide World of Sports & approved off-site venues. Ages: U9-U19 Boys and Girls. Teams: All USSF & FIFA Affiliates. Contact: Mark Luster or visit www.disneysoccer.com Approved Application to Host. 2-5: 2018 Largo Preseason Kickoff. Largo Soccer Complex, Largo, FL. Ages: U14-U19 Boys and Girls. All USSF Affiliates. Contact: Ben Sousa or visit www.largounitedsoccer.com Approved Application to Host. 4-5: Bazooka Soccer Preseason Tournament. Kissimmee, Florida. Ages: U9-U19 Boys and Girls. Teams: All USSF & FIFA Affiliates. Contact: Boni Okafor or visit www.bazookasoccer.com Approved Application to Host. 4-5: West Coast Pre-Season Cup. Bradenton, FL. Ages:U9-U18 Boys and Girls. Teams: All USSF Affiliates. Contact Jeff Pinteralli or visit www.soccerskillsunlimited.org Approved Application to Host. 17-19: Disney Pre-Season Soccer Kick-Off. ESPN Wide World of Sports & approved off-site venues. Ages: U9-U14 Boys and Girls. Teams: All USSF & Affiliates. Contact Mark Luster or visit www.disneysoccer.com Approved Application to Host. 18-19: Brevard Hurricane Classic-10th Annual. Mitchell Ellington Park, Merritt Island, FL. Ages: U9-U19 Boys and Girls. Teams: All USSF Affiliates. Contact: William Quinter or visit www.brevardsoccer.net Approved Application to Host. 31-2: South Orlando SC Labor Day Preseason Tournament. Orlando, Fl (Other Field Sites). Ages: U10-U19 Boys and Girls. Teams: Only FYSA & USYS Affiliates. 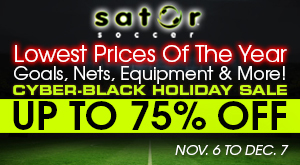 Contact: Cris Whittaker or visit www.southorlandosoccer.com Approved Application to Host. 31-3: Tampa Bay Labor Day Tournament. Lakewood Ranch, FL. Ages:U9-U19 Boys and Girls. Teams: All USSF & FIFA Affiliates. Contact: Bill Fisher or visit http://chargerssoccer.com/tournaments/2018-tampa-bay-labor-day-tournament Approved Application to Host. 1-3: Disney Soccer Showcase Qualifier. ESPN Wide World of Sports & approved off-site venues. Ages: U15-U19 Girls. Teams: All USSF &FIFA Affiliates. Contact: Mark Luster or visit www.disneysoccer.com Approved Application to Host. 1-3. Publix Labor Day Cup. Naples, FL. Ages: U9-U19 Boys and Girls. Teams: All USSF Affiliates. Contact Jeff Pinteralli or visit www.soccerskillsunlimited.org Approved Application to Host. 15-16:The Coral Estates Cup. South Florida. Ages: U9-U19 Boys and Girls. Teams: All USSF Affiliates. Contact Jeff Pinteralli or visit www.soccerskillsunlimited.org Approved Application to Host. 21-22: United Soccer Cup & Showcase. Plantation. Ages: U9-U14 Boys and Girls. Teams: All USSF and FIFA Affiliates. 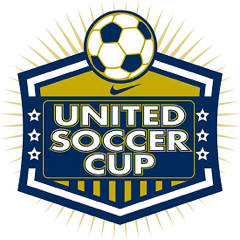 Contact: Jairon Moreno or visit www.unitedsocceracademy.org/page/show/890517-united-soccer-cup Approved Application to Host. 22-23: Goal to Goal Cup Region C. Saint Petersburg, FL. Ages: U9-U12 Boys and Girls. Teams: All USSF Affiliates. Contact Jeff Pinteralli or visit www.soccerskillsunlimited.org Approved Application to Host. 28-30: 27th Largo Halloween Tournament. Pinellas County, FL. Ages: U9-U14 Boys and Girls. Teams: All USSF Affiliates. Contact: Ben Sousa or visit www.largounitedsoccer.com Approved Application to Host. 29-30 The Florida Hawks Cup. Fishhawk, FL. Ages: U9-U12 Boys and Girls. Teams: All USSF Affiliates. Contact: Jeff Pinteralli or visit www.soccerskillsunlimited.org Approved Application to Host. 6-7: Collier County Columbus Cup. Naples, FL. Ages: U9-U19 Boys and Girls. Teams: All USSF Affiliates. Contact: Jeff Pinteralli or visit www.soccerskillsunlimited.org Approved Application to Host. 13-14: The East Coast Florida Cup. Merritt Island. Ages: U9-U19 Boys and Girls. Teams: All USSF Affiliates. Contact: Jeff Pinteralli or visit www.soccerskillsunlimited.org Approved Application to Host. 19-21: 2018 PBG Classic. Palm Beach Gardens, FL. Ages: U9-U19 Boys and Girls. Teams: All USSF Affiliates. Contact: Ryan Morgan or visit www.pbgardenclassic.com Approved Application to Host. 19-21:Be Brave. Lake Myrtle Sports Complex- Auburndale, FL. Ages: U9-U14 Boys and Girls. Teams: All USSF Affiliates. Contact: Julio Borge or www.bebravesoccer.com visit Approved Application to Host. 20-21: 4th Annual South Florida Classic. Naples, Florida. Ages: U9-U19 Boys and Girls. Teams: All USSF Affiliates. Contact Boni Okafor or visit www.bazookasoccer.com Approved Application to Host. 3-4: Pre-Thanksgiving Gold Cup. Coconut Creek, FL. Ages: U10-U19 Boys and Girls. Teams: All USSF Affiliates. Contact Jeff Pinteralli or visit www.soccerskillsunlimited.org Approved Application to Host. 3-4: Miami Soccer Festival 2018. Kendall Soccer Park. Ages: U5-U12 Boys and Girls. Teams: All USSF Affiliates. Contact: Scott Georgeson or visit www.miamisoccerfestival.org Approved Application to Host. 17-18: Bazooka Soccer Pre-Thanksgiving Cup. Apopka, Florida. Ages: U9-U16 Boys and Girls. Teams: All USSF Affiliates. Contact Boni Okafor or visit www.bazookasoccer.com Approved Application to Host. 22-25: Disney Girls Soccer Showcase. ESPN Wide World Sports & approved off-site venues. Ages: U11-U18 Girls. Teams: All USSF & FIFA Affiliates. Contact: Mark Luster or visit www.disneysoccer.com Approved Application to Host. 24-25: Soccer Skills Thanksgiving Cup. Bradenton, FL. Ages: U9-U19 Boys and Girls. Teams: All USSF Affiliates. Contact Jeff Pinteralli or visit www.soccerskillsunlimited.org Approved Application to Host. 1-2: 2018 Florida Winter Cup. Ormond Beach Sports Complex. Ages: U9-U15 Boys and Girls. Teams: All USSF and FIFA Affiliates. Contact: Pat McStay or visit www.floridawintercup.com Approved Application to Host. 8-9: 2018 Florida Winter Cup Showcase. Indian Trails Sports Complex. Ages: U16-19 Boys and Girls. Teams: All USSF Affiliates. Contact: Pat McStay or visit www.floridawintercup.com Approved Application to Host. 8-9: The Gatorade Showcase Warm-up. Naples, FL. Ages: U15-U19 Boys and Girls. Teams: All USSF Affiliates. Contact Jeff Pinteralli or visit www.soccerskillsunlimited.org Approved Application to Host. 8-9: Gulf Coast Cup. Naples, FL. Ages: U9-U19 Boys and Girls. Teams: All USSF Affiliates. Contact Jeff Pinteralli or visit www.soccerskillsunlimited.org Approved Application to Host. 8-9: ACOBA Cup. Coconut Creek, Florida. Ages: U9-U14 Boys and Girls. Teams: All USSF Affiliates. Contact: Boni Okafor or visit www.bazookasoccer.com Approved Application to Host. 15-16: Bazooka Soccer Holiday Cup. Fort Myers, Florida. Ages U9-U16 Boys and Girls. Teams: All USSF Affiliates. Contact Boni Okafor or vist www.bazookasoccer.com Approved Application to Host. 27-31: Disney Boys Soccer Showcase. ESPN Wide World of Sports & approved off-site locations. Ages: U11-U19 Boys. Teams: All USSF & FIFA Affiliates. Contact: Mark Luster or visit www.disneysoccer.com Approved Application to Host. 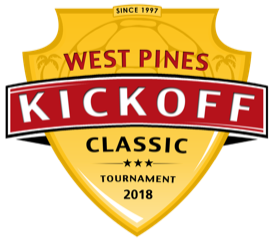 28-30: Orange Classic International Girls Soccer Tournament: Plantation, FL. Ages: U10-U19 Girls. Teams: All USSF & FIFA Affiliates. Contact Cathy Tufts or visit www.theorangeclassic.com Approved Application to Host.